Many wedding styles come and go, but a classic, rustic wedding never loses popularity, a style that pairs perfectly with classic wedding cars like the ever-impressive Jaguar. Melbourne’s leafy north really does lend itself to some stunning wedding backdrops and relaxed, nature-inspired themes. Although there are lots of locations to choose from, when you add classic wedding cars it becomes a go-to for many couples. 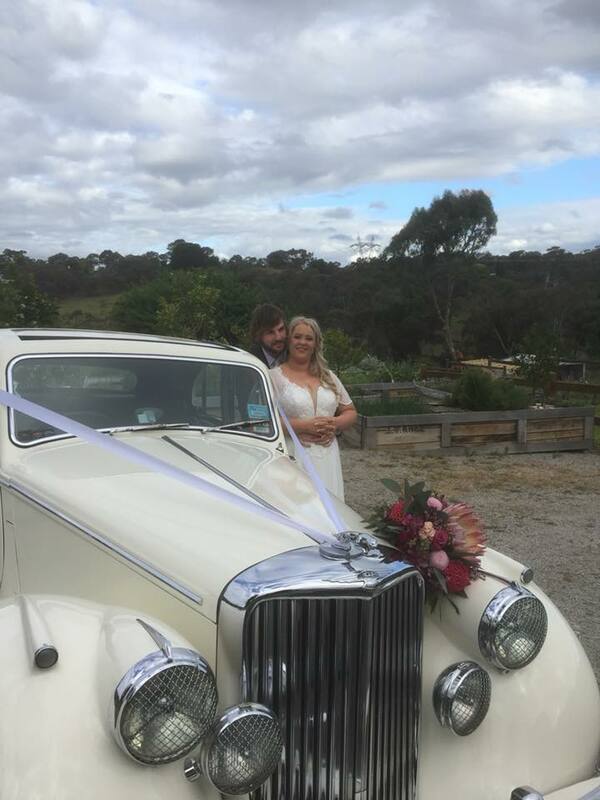 At JC Jags, we recently helped Amanda and John take a step back into a romantic vision of yesteryear. Their wedding reminded us of some of our favourite Hollywood movies, with beautiful, seemingly endless landscapes and ranch-style properties. 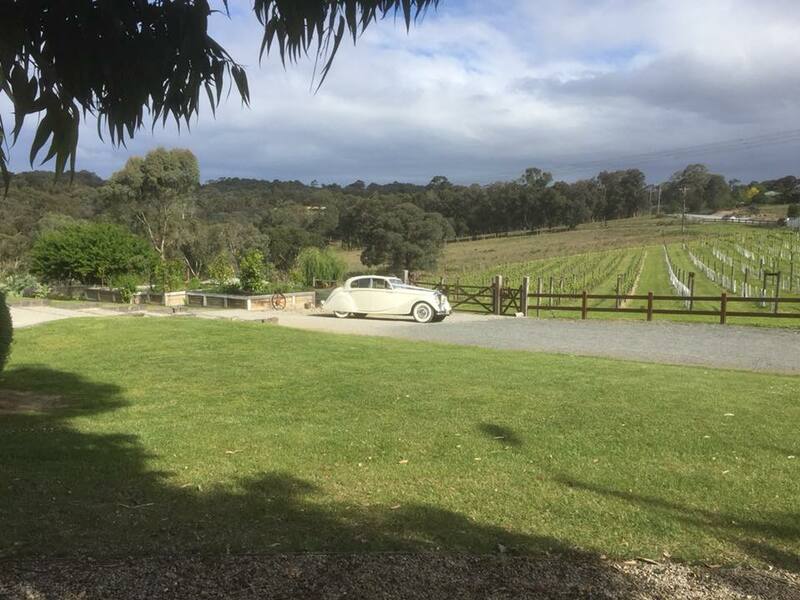 To make sure they enjoyed a relaxing and memorable day with loved ones, the stunning couple chose to have their ceremony and reception at the one location – The Farm in Warrandyte. You can see from the photos that the location really does have an inviting feel, and for anyone who wants to create photos that give a nostalgic nod to years gone by, it ticks all the boxes. When Amanda and John started the search for their wedding transportation, they wanted something that complimented their theme and added another layer to the day. 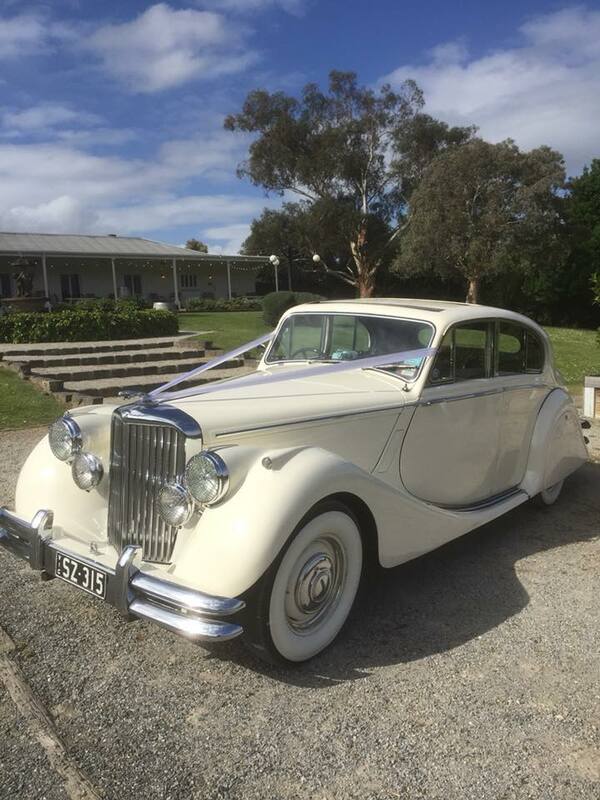 The 1950 Jaguar MK-V Sedan was their top choice when it came to classic wedding cars. This iconic model has been a popular choice for weddings for decades, and still tops the list for many brides- and grooms-to-be. With its vintage look, the Jaguar MK5 Sedan is anything but shabby! Along with a designated, experienced chauffeur, you can be sure that the luxury doesn’t end once you open the door to climb inside. Here you will find a fully restored interior that honours the classic style Jaguars are known for. We are sure you’ll agree that the photos of Amanda and John are beautiful and capture the nostalgia and understated glamour that the couple were hoping to achieve. If you are looking for your own classic wedding cars to take your wedding to the next level, get in touch with JC Jags. We’ll help add the gorgeous arrival and finishing touch you’re looking for!